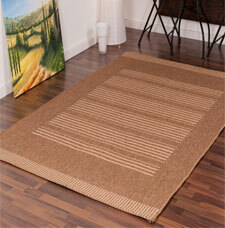 Finca is an array of budget flat-woven sisal style rugs. The rugs feature various contemporary designs in neutral colours suitable for any room setting especially for kitchen/dining areas and conservatories. Furthermore the rugs are dirt-repellent, easy to clean and are very durable with proper care.